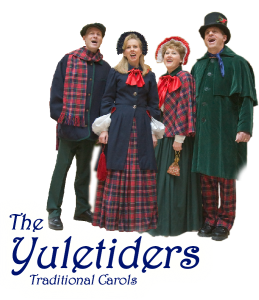 Colorado Caroling Company | Three great options for holiday music. Click below to hear a collection of songs from the Colorado Caroling company. You can also download the demo (right-click and ‘save-as’). 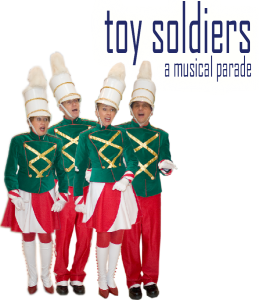 Your holiday events come alive with these colorful, life-size toy soldiers on parade singing everyone’s favorite holiday songs! Whether you post them at your gates to greet your guests, or have them front and center stage, these soldiers will pass muster! Dream of a time, just like the ones we used to know. This great looking group will warm hearts and stir memories of days merry and bright. 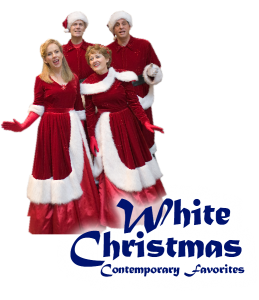 Out talented quartet brings to life the music and magic suggested by the classic American film “White Christmas.” Reminisce with the great Irving Berlin songs and other contemporary holiday favorites. This is a Sure Hit for private and corporate parties. You will take your guests’ breath away as our singers arrive at your event in lavish, custom-made costumes.